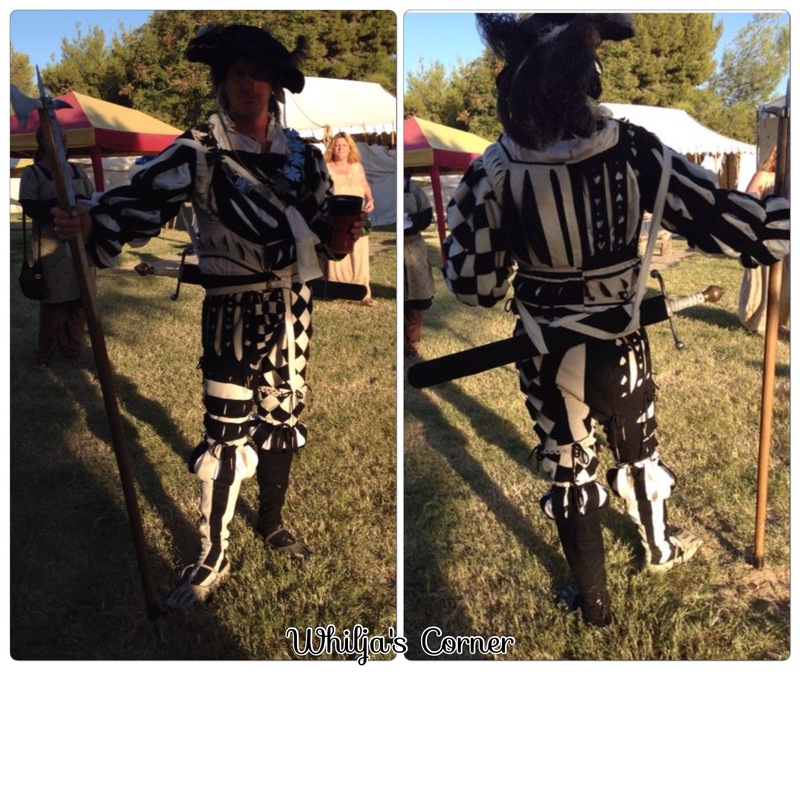 Landsknechts outfits ready to be worn! 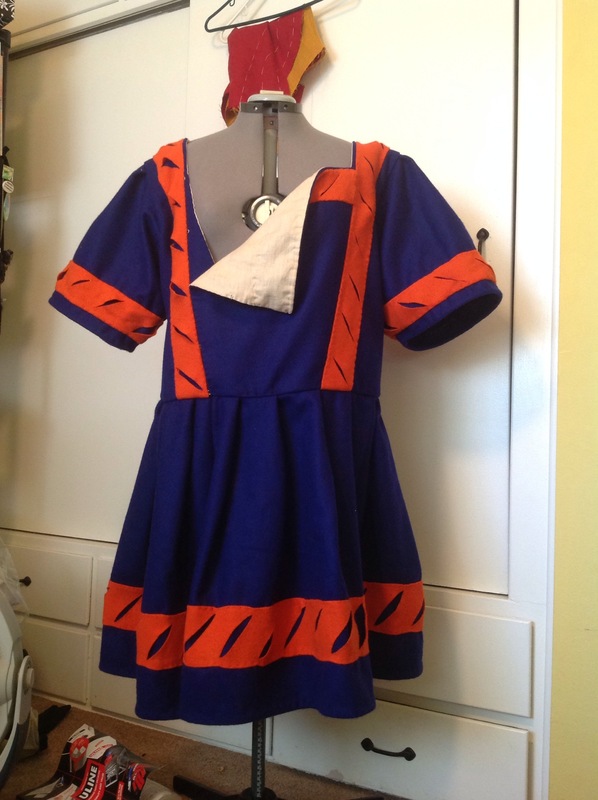 Nicks outfit is completely handsewn and the Wams is my first try of making the ‘vest’ design with an attachable front piece. The puffs is white and black silk, and the wams it’s only lined on the torso to make it slightly cooler to wear in California. you can see a little gap in the corner, an extra lacing hole will be added, along all around the edges between the hosen and wams, to prevent it from slipping from the weight of his weapon on his hips. Read more about his Wams here and his hosen here. Dante wanted a very ‘clean’ designed Waffenrock , with just some slashes for decor. 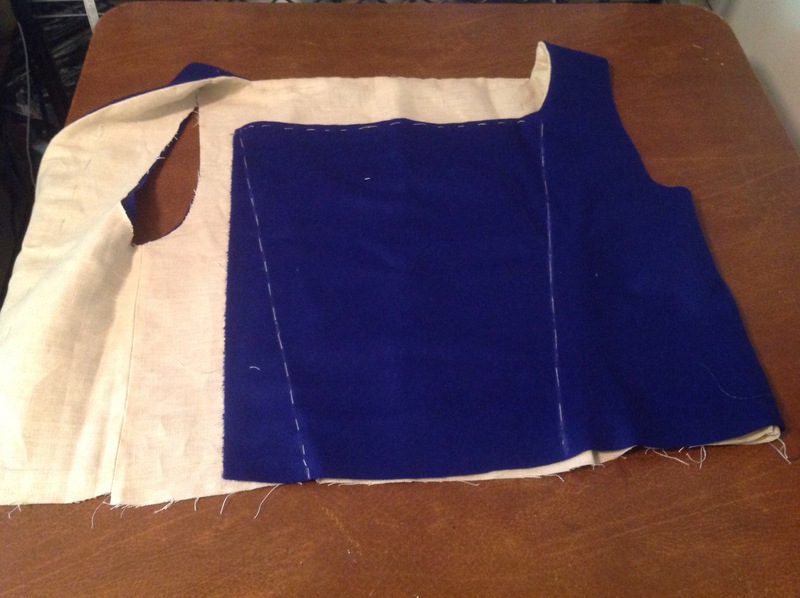 This kind of slashes is made by just cutting a diagonal slash and when attaching them I simply stretch the fabric slightly to open them up (read more about how to slash here). The front is side closed with hooks and eyes, just along the inside of the slashed band. 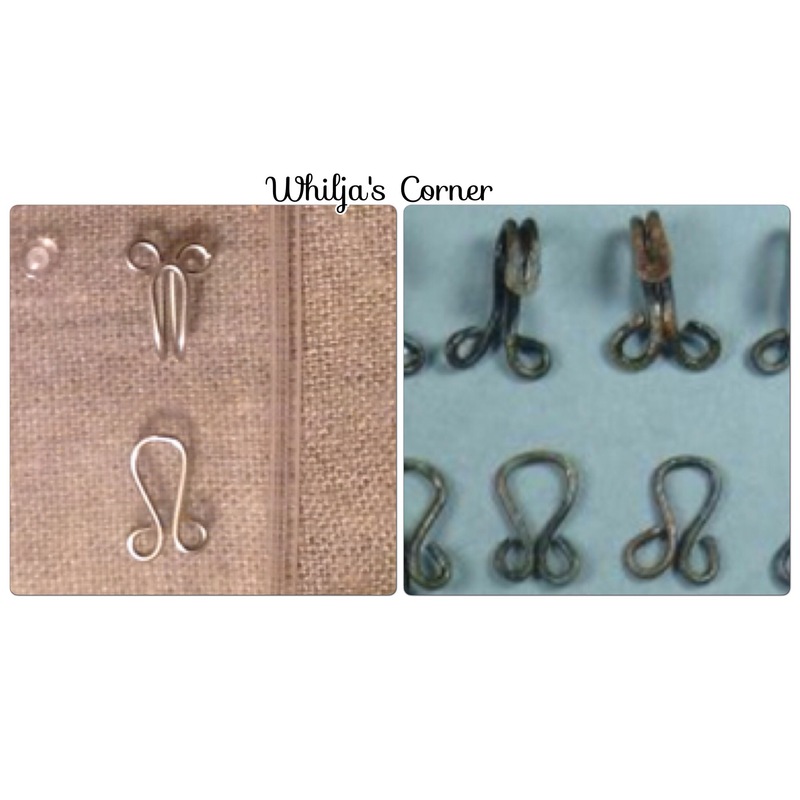 The placement of the hooks and eyes was placed there because I wanted the front decoration to be still visible even if he choose to unhook the top hooks due to the heat of California. 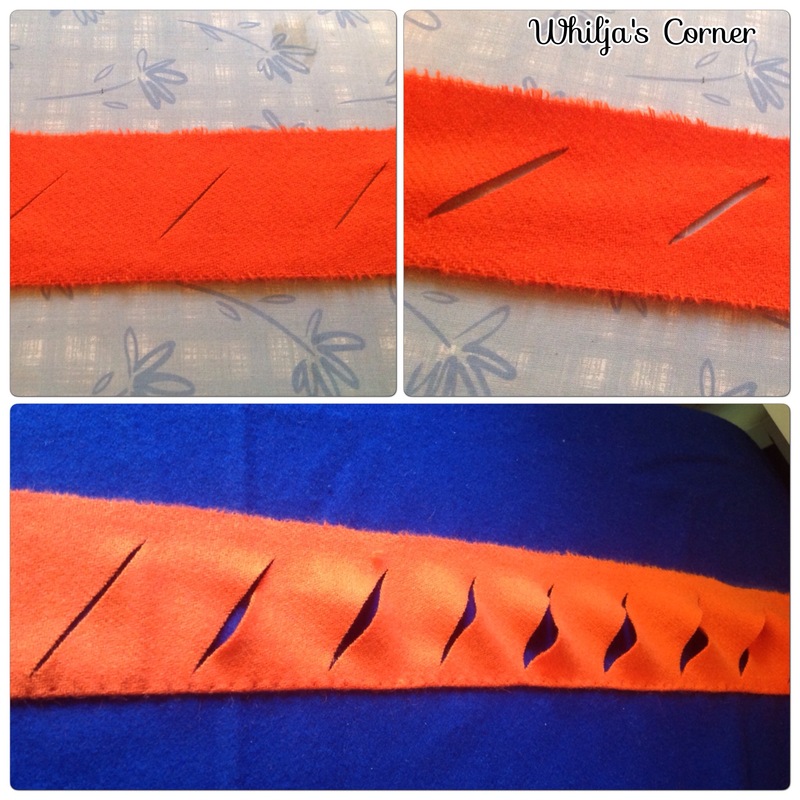 The main design of the Waffenrock is inspired by the left picture, but instead of velvet and brocade I use wool fabric that Dante provided. 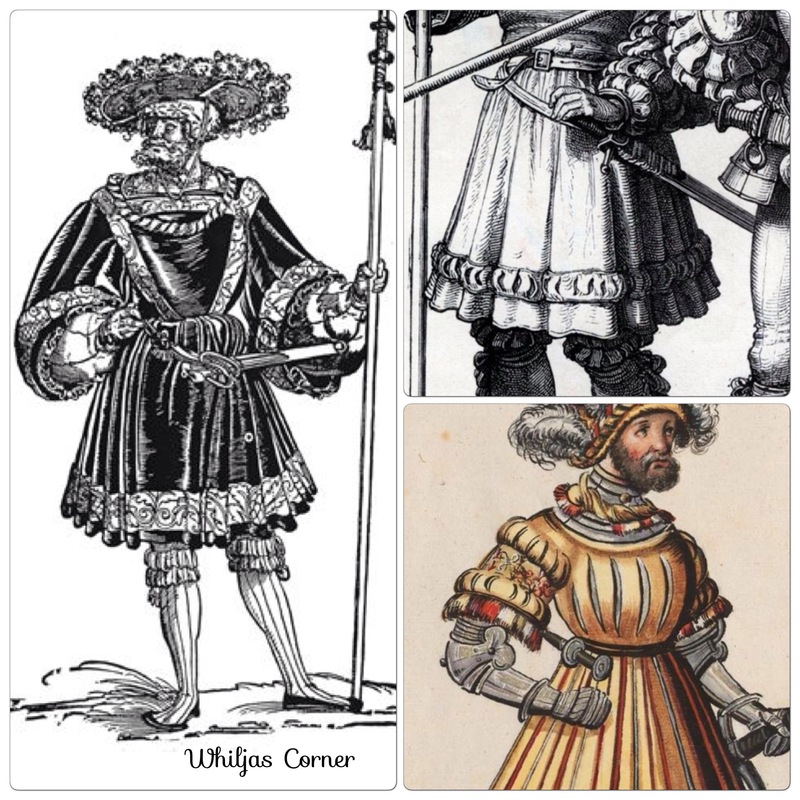 The slashed decoration and the shorter sleeves is inspired from the two smaller woodcuts. 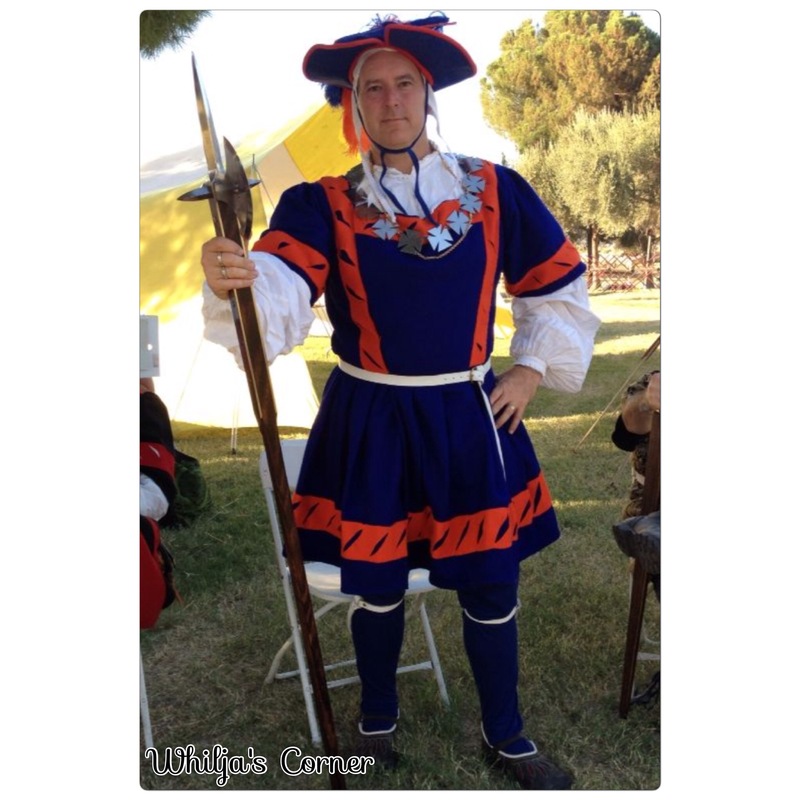 This entry was posted in Landsknecht, Sewing and tagged Landsknecht, Waffenrock.